Winner of the 2009 Les Azuriales Opera Trust Prizem British tenor Tyler Clarke has sung throughout Europe at venues including: Deutsche Oper Berlin, Leipzig Oper, Opera de Lyon, English National Opera, Royal Opera House Covent Garden, Welsh National Opera, and the Teatro Real Madrid. Tyler Clarke studied at the Guildhall School of Music and Drama, the Royal College of Music International Opera School, the Georg Solti Accademia di Bel Canto, National Opera Studio and the Wales International Academy of Voice under the tutelage of Dennis O’Neill CBE. He made his professional debut in 2011 with English National Opera as Liverotto LUCREZIA BORGIA (a production broadcast by Sky Arts) later returning as Count Almaviva THE BARBER OF SEVILLE. In 2014 he debuted at Opéra de Lyon as Brian in the world première of Auzet’s STEVE FIVE returning the following year as Romeo in Blacher’s ROMEO UND JULIA. 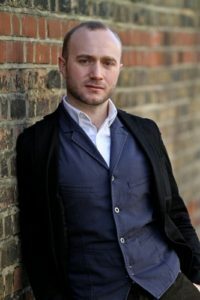 Additional roles include the title role in ALBERT HERRING for the Co-Opera Company, Dominique Le Gendre’s BIRD OF NIGHT at the Linbury Studio Theatre of the Royal Opera House, Covent Garden, Aminta ATALANTA and San Giovanni LA RESURREZIONE at the London Handel Festival, First Customer / Monk WAGNER DREAM for Welsh National Opera, Bastien BASTIEN UND BASTIENNE at the Geneva Music Festival, Ferrando COSI FAN TUTTE for Vignette Productions, Don Ottavio DON GIOVANNI for Iford Arts, Lensky EUGENE ONEGIN for Opera Bohemia, Steersman DER FLIEGENDE HOLLÄNDER at the 2013 Dorset Opera Festival and Young Sailor / Shepherd TRISTAN UND ISOLDE for the Nationale Reisopera (a production that was awarded Opera of the Year by Place de l’Opera). Tyler Clarke sings widely in concert, his repertoire ranging from J. S. Bach and Handel to Orff and Puccini. Particular highlights have included Damon ACIS & GALATEA with the Oxford Philomusica, Elijah with the Royal Philharmonic Orchestra conducted by Kurt Masur, Messiah for Raymond Gubbay Ltd, Mozart Requiem with the English Chamber Orchestra at London’s Royal Festival Hall and The Ultimate Gala at the Wales Millennium Centre with Dame Kiri Te Kanawa and Dennis O’Neill CBE. Recent credits include: Anthony Hope SWEENEY TODD for Nederlandse Reisopera, 3rd Jew SALOME for Oper Leipzig, Ridicule L’AMOUR DES TROIS ORANGES at Deutsche Oper Berlin and Dan Buchanan in STREET SCENE for Teatro Real in 2018.